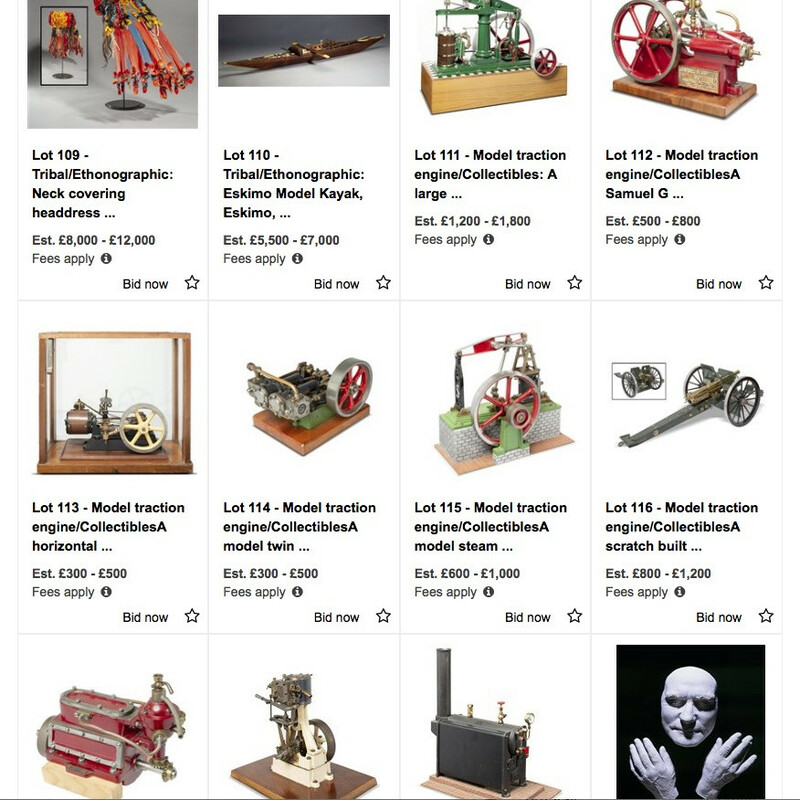 West Sussex, UK - Summers Place has added a big tribal art section and a small model steam engine collection to this month's sale in addition to the normal garden and architectural antiques, mineralogy, sculpture, bygones and ephemera - oh, and a revamped speedy website. 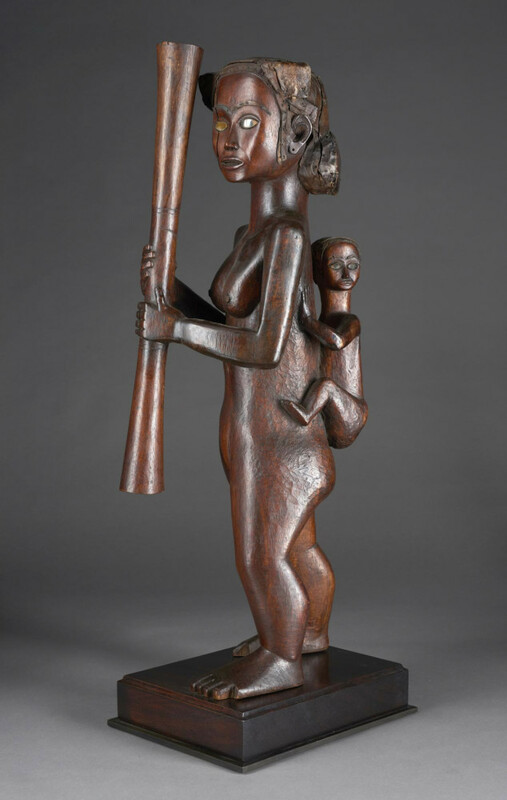 Top estimate of the 566 lot sale at £45,000 is a tribal art Mother and Child sculpture, Mabea, Cameroon, 1920s - 1930s, 82cm which was once owned by a friend of Salvador Dali. 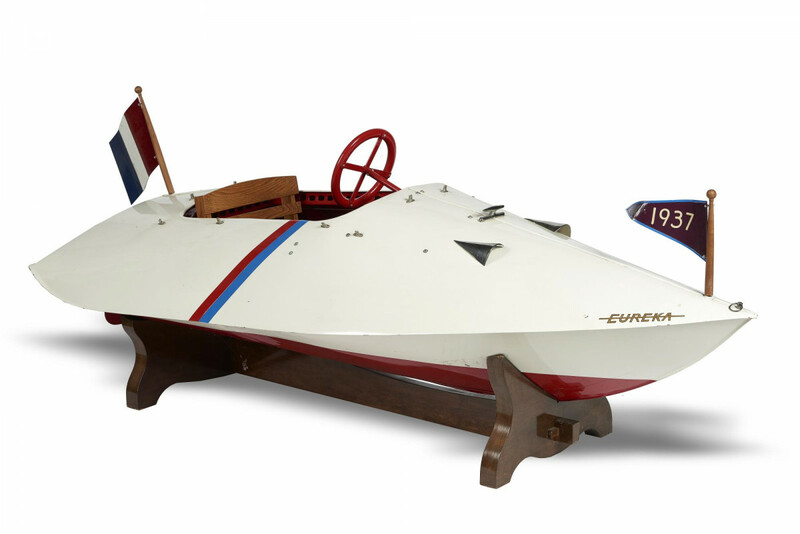 A rare French 1940s painted sheet metal child’s pedal boat, made by Eureka and named Miss Minnetonka 2.5m long is guided at £7,000. 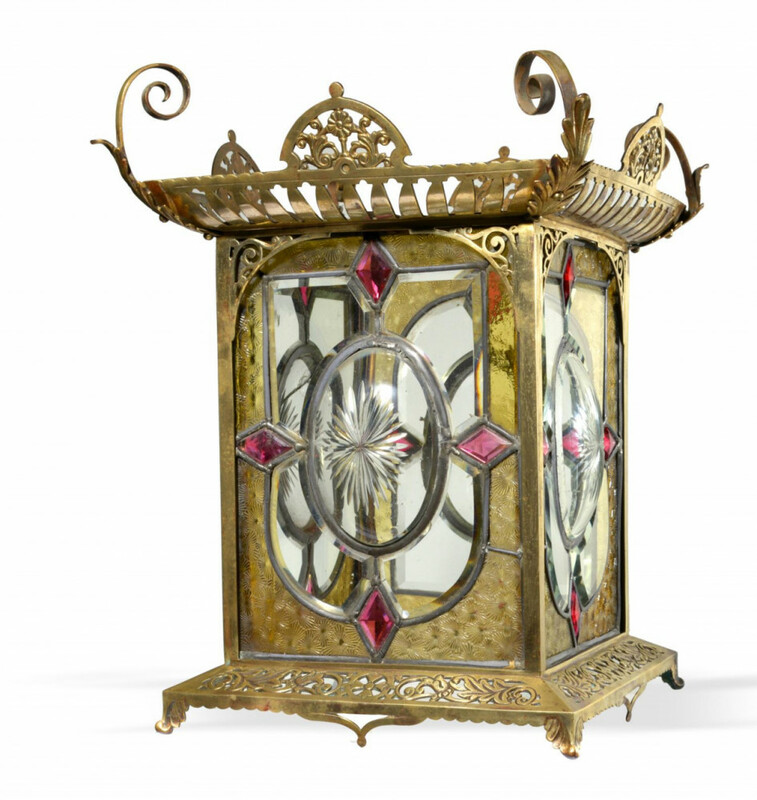 An Edwardian brass lantern with convex starburst glazed oval panels and matching tinted yellow pattern glass 45cm high by 35cm square estimate £600. 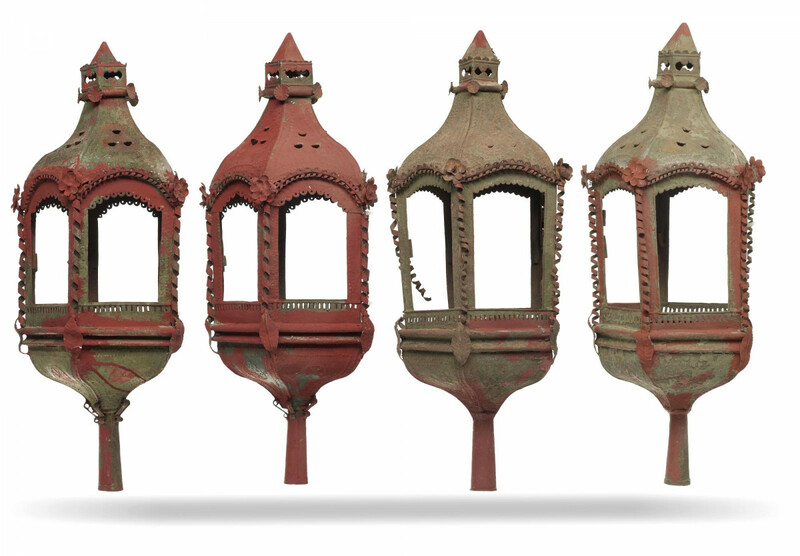 A set of four 64cm high Venetian sheet metal pole lamps £150. The live auction is on 12 June, and sealed bid on 13 June.